Gaspereau Vineyards is a picturesque 35-acre vineyard in the Gaspereau Valley. 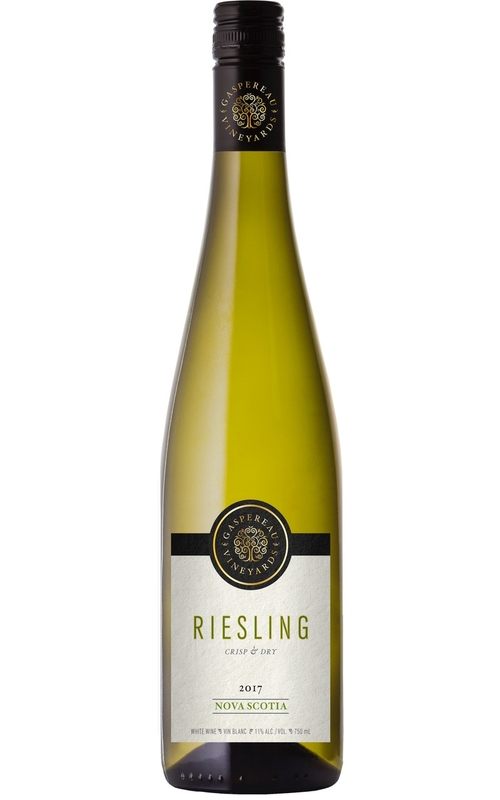 It has earned a reputation for making outstanding Rieslings under the care of European-trained, Nova Scotian born winemaker Gina Haverstock. Gaspereau Vineyards specializes in fruit-forward, terroir driven white wines, and smooth reds as well as traditional method sparkling wines. A blend of Riesling grown in three distinct locations in the Annapolis Valley: Gaspereau Estate, Black Dogs and Warner’s vineyards. Combining these unique terroir, create a truly Nova Scotian Riesling. Notes of green apple and white pepper dominate the palate of this wine, a character contributed by the Warner Vineyard component of this Riesling while apple and kiwi notes with floral undertones are expressed more in the Gaspereau Estate component. The Black Dogs component mirrors the Gaspereau profile with added notes of dried apricot and a soft acidity. Minerality is a pillar of this wine and is exhibited to varying degrees in all three base wines. The wine finishes with refreshing acidity, a lingering apple and mineral note all balanced by a hint of sweetness. This off dry wine is very food-friendly.